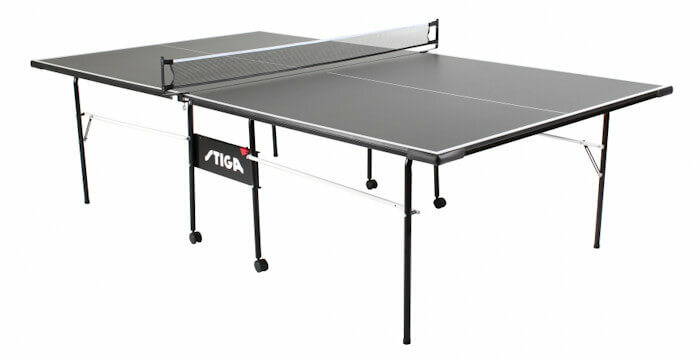 The Stiga (pronounced Steega) Impact T8621b is an entry level table from an established brand. 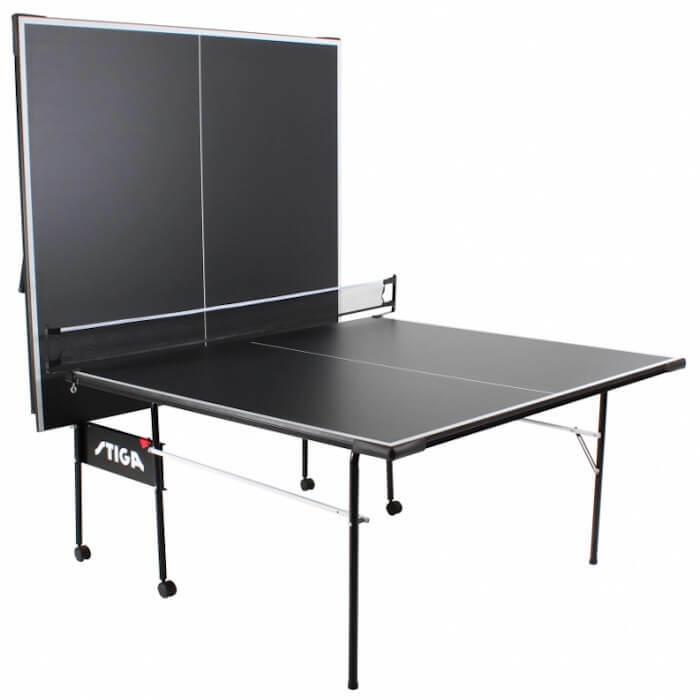 So let's take a closer look at all aspects of this table so that you can decide whether the Impact T8621b is the right table for you. 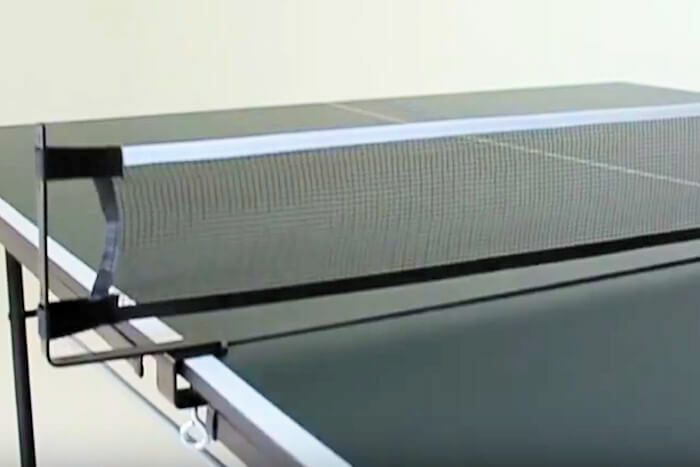 This feature, which is present on many tables, also enables the table to be used by one person by using the upright section of the table as an opponent. 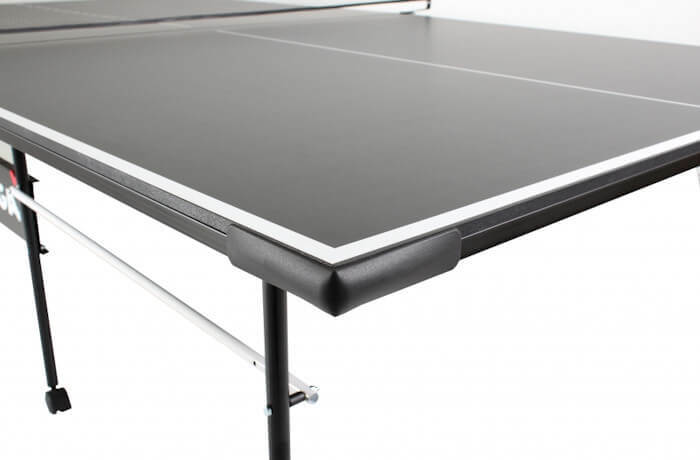 This table has a half inch steel apron underneath the edges of the playing surface. 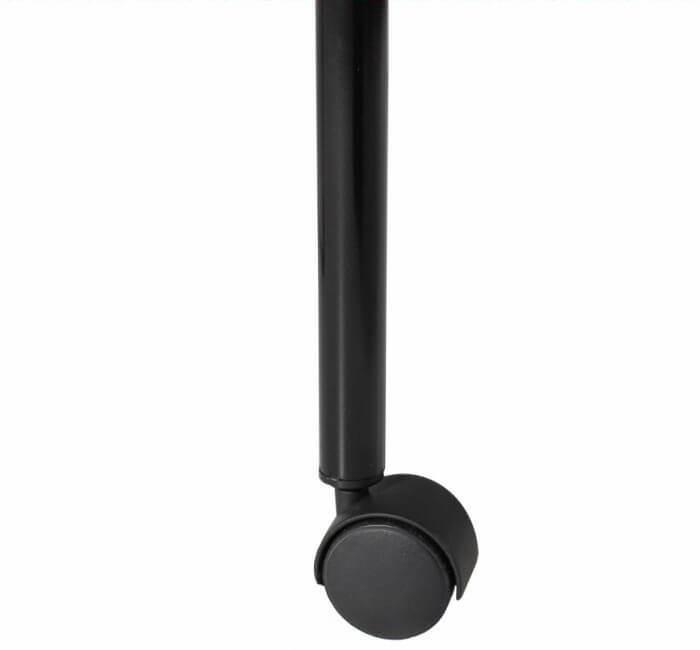 When you need to move the table (usually in its storage position) there are wheels on the four center legs. The wheels are 2 inch double wheel casters. 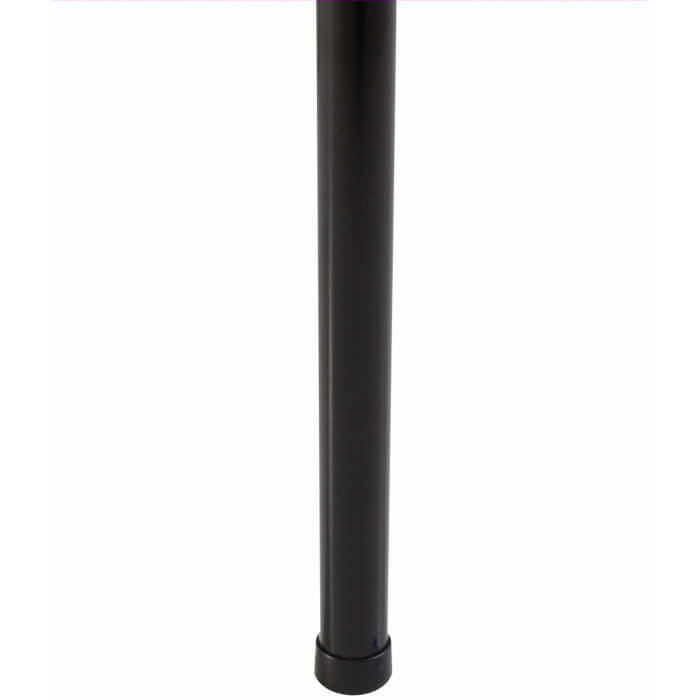 In addition to the four centre legs which have caster wheels on them, the four corner legs are as shown here. 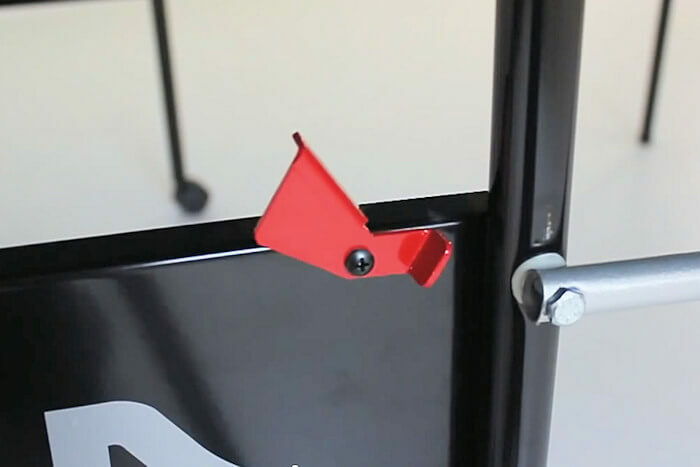 When you watch the video at the bottom of this page, you'll see a demonstration of this. 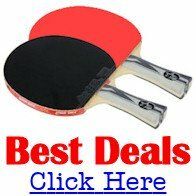 The ITTF rules state that the length of the net must be 6 feet, and the height must be 6 inches. 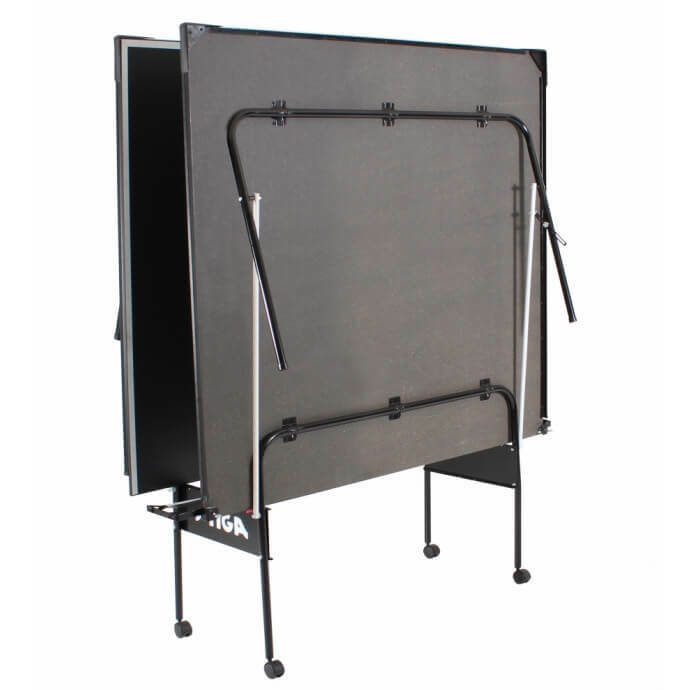 The net supplied with this table is 5 feet 6 inches long and 6 inches high. However, you could easily buy a new net of the correct length. 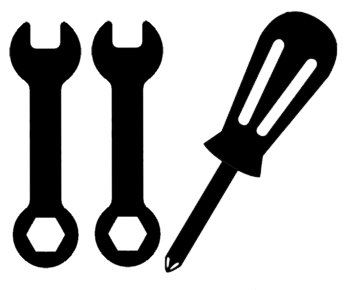 You'll also need two 7/16 and one 3/8 wrenches (spanners) and a Phillips screwdriver. It's a pdf document which is 9 pages long and you can download it now. 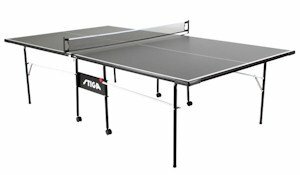 Who is this Stiga Impact T8621b Table Tennis Table for?